Since the beginning of these World championships, we have the incredible chance to see great and beautiful judo. There are more and more attacks and situations where athletes grab the opponent's judogi and engage in a scoring move. There is less and less attempts to escape and play tactically. The competitors and their coaches understood that to win it is necessary to move forward and build a real system of attack. Mindsets have changed dramatically in recent years and all of this is very positive for our sport. The World Championships, even if they will come to an end, are not over yet and it is too early to draw precise conclusions, but we can already say that the number of different techniques is increasing. The variety of judo techniques is very important. The judo is richer than it has ever been. One clear example of that is in the ground work. The possibility, as it was already the case for standing work, to continue outside the combat area, an action that is evolving, is a very good thing. The fact that the referees are instructed to let the judoka work as long as there is a positive evolution of the ground is also very interesting. During the first six days of competition, we have seen groundwork phases that were patiently built and efficient. The teams have taken this into consideration and it is obvious that they are working on this specific point more and more. What is important to understand for the public is that the matches are in the hands of the athletes obviously, and in those of the referees so that the rules of our sport are respected. At the supervisor table we are there only in case of necessity, when for example video refereeing is required. We then have the opportunity to review an action from different angles and in slow motion, so that we can give the right decision. It is an incredible chance because we can really go into detail. The public understands that and that is important. The coaches also understand it and we have an excellent relationship with them. Of course, when a sequence is contentious or ambiguous, the coaches do not always understand that we are making this or that decision. We must not forget that they have only one viewing angle, and that they have to understand a complex situation within less than a second, while at the table we have all the technological tools to decide. It is also important to know that when a decision is made, it must be made by all of the experts that are sitting at the table. If this is not the case, we ask the referee to resume the fight: Hajime! You know, the work we do with the referees goes well beyond the simple knowledge of the rules. In partnership with the IJF Academy, we organize working seminars during which the referees are on the tatami, in judogi, and work with the best experts of the international federation. It is a work that we develop more and more. To be a good referee, one must not only know the rules, one must also understand the judo and feel it. During these championships, we reach a record of positive scores, since we are close to 90% of the matches won on a positive score (ippon or waza-ari). These statistics are pretty impressive, as we never reached that level in the past. But we do not hide behind numbers because a score does not speak of the quality of a bout. The referees role is to let the match evolve so the competitors can build positive judo and seek to score. They are not there to destroy the dynamic of the match. If this is not the case and if athletes are not looking for the score, as it obviously happens, then the referees have a range of penalties available. If we look at what judo offers today, we start every day the final block at 16:00 and in two hours, we have 14 matches and beautiful winners. It's fantastic. When we look at what happened over the last days, you have no idea, how many times we are on our chair and we look at the judo saying: Wooooaahooooo, how beautiful! Some matches are a pure marvel. We see athletes who give everything because at the end there is a world medal. There is no calculation, but the desire to do well. Our role is not to comment on each other's performance, because we value our neutrality. 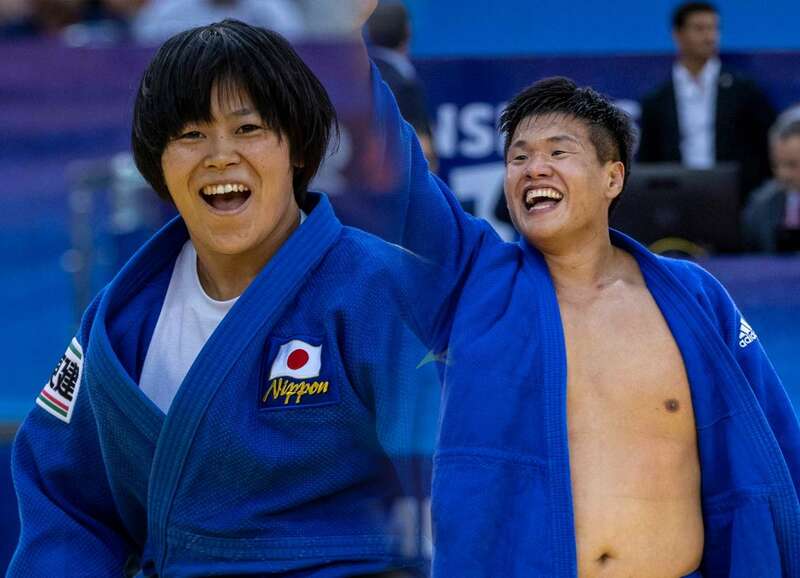 But as a judoka, how not to be happy to see the performance of Bilodid earlier this week, that of Abe siblings, the great performance of the French, Agbegnenou, and obviously the overall result of the team of Japan. But really everyone deserves our admiration. There are many reasons to celebrate our modern judo. There are many things we are constantly working on to be better and really professional. Being a referee is not easy, but the group we have is of high quality. In the past, it was sometimes possible to become a champion with a bit of luck, but today it is no longer possible. It can be said that all the world champions who were crowned in Baku have worked hard and deserve more than anyone else their title. We are happy people and we have a real pleasure to be privileged spectators of the evolution of judo in the world. Juan Carlos Barcos Juan Carlos Barcos is at the head of the refereeing commission since the early 2000s. 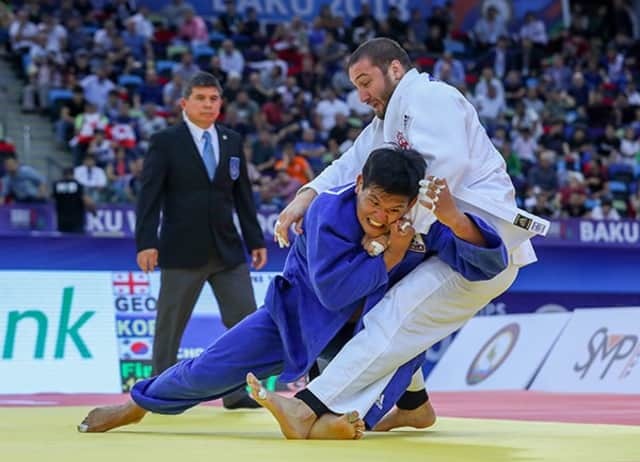 Juan Carlos Barcos began judo at the age of thirteen, in his home town of Pamplona in Spain. Very quickly the sport became a passion, that of a whole life. As a young practitioner and then a competitor, he also passed his judo teacher's diplomas, and while he was studying economics, he decided to set up his own gym whose judo quickly became the driving force. In parallel he started to be a referee and climbed the ladder to find himself refereeing the Moscow Games in 1980, then those in Los Angeles in 1984. Jan Snijders Jan Snijders, born in Eindhoven, The Netherlands, is IJF Head Refereeing Director. He started judo in 1954 and in 1961 won gold at the European Junior Championships. In 1962, he was European Champion in Essen and in 1964 he participated in the first Olympics in Tokyo, where Anton Geesink won the first European gold medal in the heavyweight category. During the years 1962 to 1972, he was a member of the Dutch national team, and has climbed many times on national and international podiums. Jan Snijders, like his twin brother Peter, was known for his technical perfection. He was a referee at seven world championships and at several Olympic Games (Seoul 1988 and Barcelona 1992).